The Meghan Markle effect is real, and it’s not only for ordinary people. Another royal family member may have taken inspiration from the Duchess of Sussex’s fashion sense and style. Meghan may have taken her influence on Prince Andrew and Sarah Ferguson’s younger daughter, Princess Eugenie. Royal watchers could not help compare the wedding of Prince Harry and Meghan Markle with the wedding of Princess Eugenie and Jack Brooksbank, which both happened in 2018. Some headlines pitted the Duchess of Sussex against Princess of York as the latter allegedly copied details of Prince Harry and Meghan’s wedding. Both royal couples were married in Windsor Castle in St. George’s Chapel, invited the public as wedding guests and have similar celebrity guest list, and Meghan and Princess Eugenie both wore conservative yet beautiful wedding gowns. These obvious similarities led to speculations that Princess Eugenie and Brooksbank replicated the Sussex’s hard-to-follow lavish wedding. Among the younger generation of royal family members, cousins Princess of York Eugenie and Prince Harry get along pretty well. In fact, Princess Eugenie and Brooksbank visited Prince Harry and Meghan for wedding planning advice prior to their wedding on Oct. 12, 2018. It might explain the parallels of details to the Sussexes’s wedding as Princess Eugenie may have employed inputs from Prince Harry and Meghan. 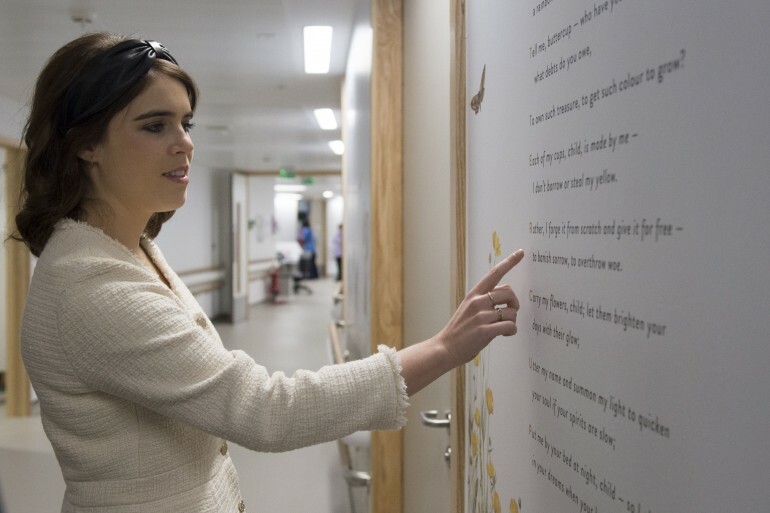 Princess Eugenie may have also picked up other insights from Meghan. For instance, Princess Eugenie wore in an event a similar shoe style that Meghan used in her engagement shoot. Another style point observed is Princess Eugenie toning down her fashion style from out-of-this-world hats and fashion faux to a classier and more confident style. The style evolution started when Princess Eugenie attended Prince Harry and Meghan’s wedding. A few months ago, Princess Eugenie was reported to be stalking an Instagram fan account dedicated to following Meghan’s fashion style. The princess apparently liked a photo were Meghan is wearing a Natalie Marie Jewelry’s Diamond Sun Studs worth $1,750. Princess Eugenie may have intentionally or accidentally liked the photo, but the bottom line is she liked what Meghan was wearing and people loved that. Princess Eugenie and Brooksbank similarly do not shy away from public display of affection, just like the Sussexes. The Princess of York posted different photos of her with Brooksbank where they are holding hands, looking at each other with affection or simply being sweet to each other in public events. The common factor that the Sussexes shared with Princess Eugenie and Brooksbank is that they are less pressured to follow royal rules since they are farther away from the royal throne.